Video is the best way to share the sights, sounds, motion and dynamics of the underwater world. If you want to get the best clips and also learn to edit your scuba diving stories to share with friends, then the PADI Underwater Videographer Specialty course is for you. If you’re a PADI Open Water Diver who is at least 10 years old, you can enroll in the PADI Underwater Videographer Specialty course. This course usually involves three dives conducted over the course of two days. During the classroom discussion and pre-dive preparation we will discuss how to select, maintain and care for your underwater video equipment, whether it’s a housed unit with external lights, or your underwater camera that also shoots video. You’ll cover fundamentals such as exposure, focus, story line and sequencing. Post dive, you’ll learn about the editing process and how to produce a video that truly captures your scuba adventures. The first dive of this course may credit as an Adventure Dive toward your Advanced Open Water Diver certification. You can prepare for this course by enrolling in Digital Underwater Photographer Online – PADI’s eLearning option – that covers the basics of underwater imaging, with the third section dedicated to video. Although the first two sections focus on still photography, this web-based educational program guides you through the principles of great underwater imaging, which includes video. By studying independently online, you’re ready to complete both specialty courses – Underwater Videographer and Digital Underwater Photographer. You’ll use an underwater video camera to go along with your basic scuba equipment. To edit your video, you’ll need access to video editing equipment, which usually includes a computer with editing software. 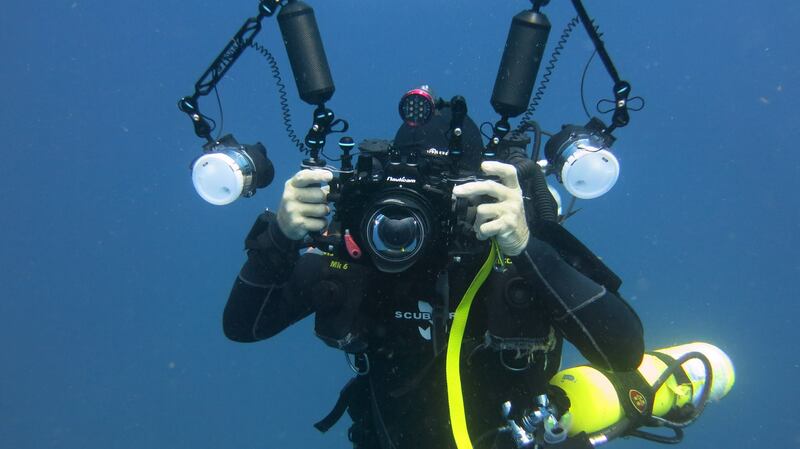 We’ll also discuss additional equipment you may need for filming high-quality underwater video. Want a quick reference guide? Check out Ten Tips for Underwater Photographers by Project AWARE.